CHASING FOOD DREAMS: Serena Brasserie, Intercontinental Kuala Lumpur: The Best of Weekend Favorites! 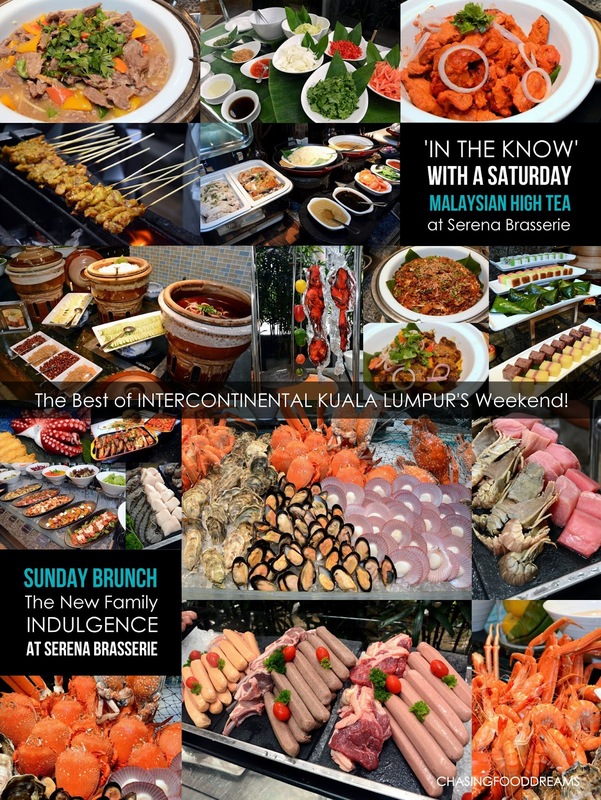 Serena Brasserie, Intercontinental Kuala Lumpur: The Best of Weekend Favorites! Weekends are made for pleasure and leisure! Celebrate your weekends at Intercontinental Kuala Lumpur with weekend treats of ‘In The Know’ with A Saturday Malaysia High Tea and a Sunday Indulgence Brunch at Serena Brasserie with your family or friends. Savor a kaleidoscope of renowned local mouthwatering spread and catch up over cups of tea or coffee on a lovely Saturday or go all out to indulge on an oceanic spread coupled with BBQ with a fabulous Sunday brunch. Here are the highlights of Sunday Brunch where a magnificent Seafood on Ice steals the limelight the moment one walks into Serena Brasserie. Expect Fine de Claire Oysters, Canadian King Crab Legs, East Coast Tropical Lobster, Spanner Crab, Tiger Prawns, Scallops on Shell, New Zealand Green Lip Mussel and Coho Salmon with Sour Cream and Micro Herbs. The seafood spread is amazing and is a must-have at this Sunday Brunch. Japanese lovers will be pleased at its array of Sushi and Sashimi showcasing classic favorites of Salmon, Tuna, White Tuna, Octopus and more. A Sunday meal is never complete without a Sunday Roast, completed with trimmings of Roasted Potato Wedges and Roasted Tomatoes! 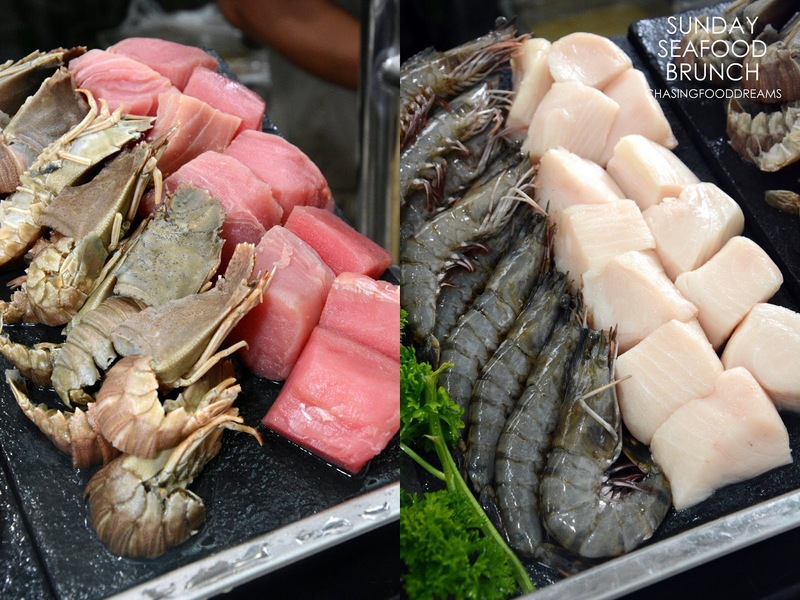 Make sure to also hit the Sunday Grill Station loaded up with top-quality range of prime cuts of Sirloin, Lamb Chop, Sausages, Tiger Prawns, Tuna Steak, Butter Fish, Tropical Slipper Lobster and Japanese Squid with a range of sauces to go with. Cook to your order, the surf and turf is nicely grilled and glazed with the house special marinade for extra flavours. Super yum…. What makes the Sunday Brunch a treat is the Children’s Corner! Little princes and princesses will be occupied at the castle corner filled with loads of goodies and activities to keep them busy and well fed while the adults enjoy the brunch together. The children’s menu features Mini Sandwiches, Salad, Fish Fingers, Fruits, Chocolate Brownies, Puddings and a very sweet spread of Cookies and Candies. The children are also entertained by clowns and other activities of fun and games. 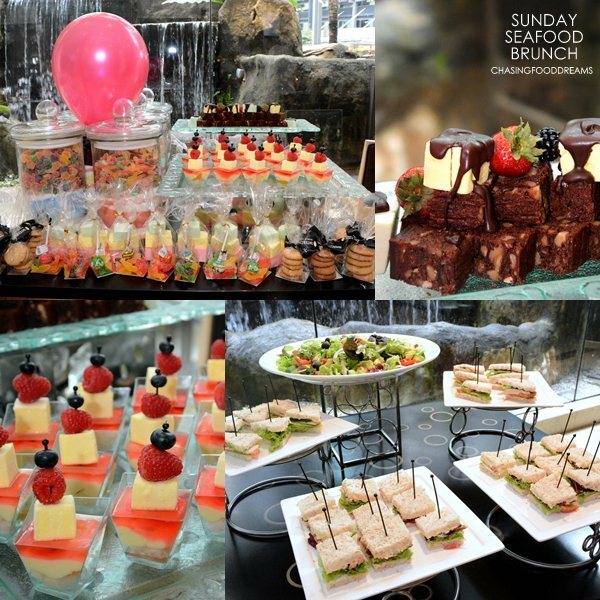 This is one Sunday Brunch with some serious pampering and is perfect for any occasion! Highlights of ‘In The Know’ Saturday Malaysia High Tea are equally as tempting but feature more of Malaysia’s culinary heritage. Serena Brasserie’s Chef de Cuisine, Mohd Zalizam and his team goes out of their way to deliver a sumptuous authentic spread of Malaysian’s favorites from our melting pot of cuisines. Going all out, consultant chef Datin Majnah Abdul Majid works closely with Chef Zam on recipes of Malay specialties like Nasi Lemak Kampung Melayu with Beef Rendang Minang Style, Sambal Sotong, Kambing Percik, Ikan Masam Manis, Satay Kampong Baru and more. Datin Majnah is popularly known as ‘Chef Diraja’ for her days of cooking for various royalty members. The Satay Kampung Baru is deliciously addictive with plump and juicy meat well marinated and beautifully grilled! 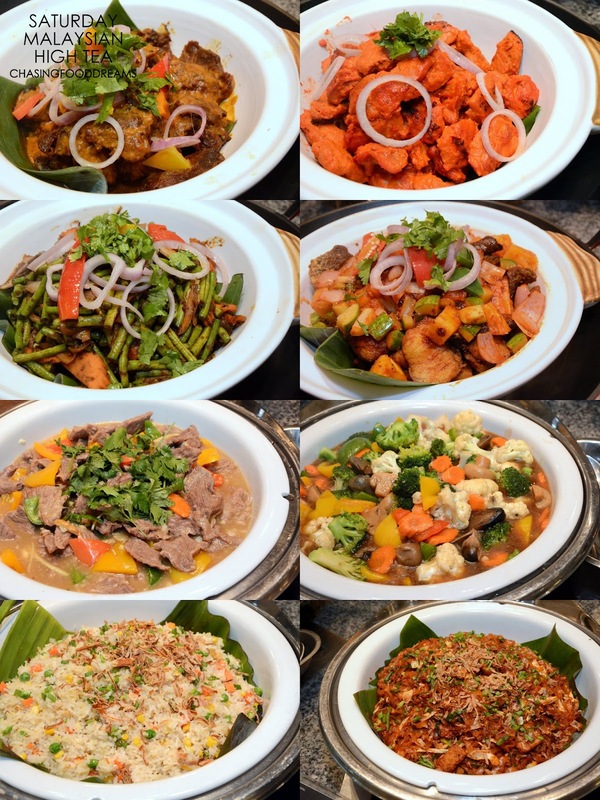 The Chinese section showcases Roasted and Steamed Chicken Rice, assortment of Ampang Yong Tau Foo, Fried Carrot Cake, Penang Fried Kway Teow, Stir Fried Beef with Ginger, Yeong Chow Fried Rice and Nyonya Curry Laksa. There’s loads more dishes to tempt the appetite. Head over to the Indian and mamak favorites for crispy Roti Canai, Naan Bread, Chicken Tandoori and Squid Masala for some hearty spice goodness. The Chicken Tandoori is freshly roasted from the restaurant’s own clay oven while the breads are freshly cooked on the griddle and clay oven. With any High Tea, one should never miss a good cup of Teh Tarik or our very own local Coffee. There are staff around to make sure you get your own cup of piping hot and frothy Teh Tarik! 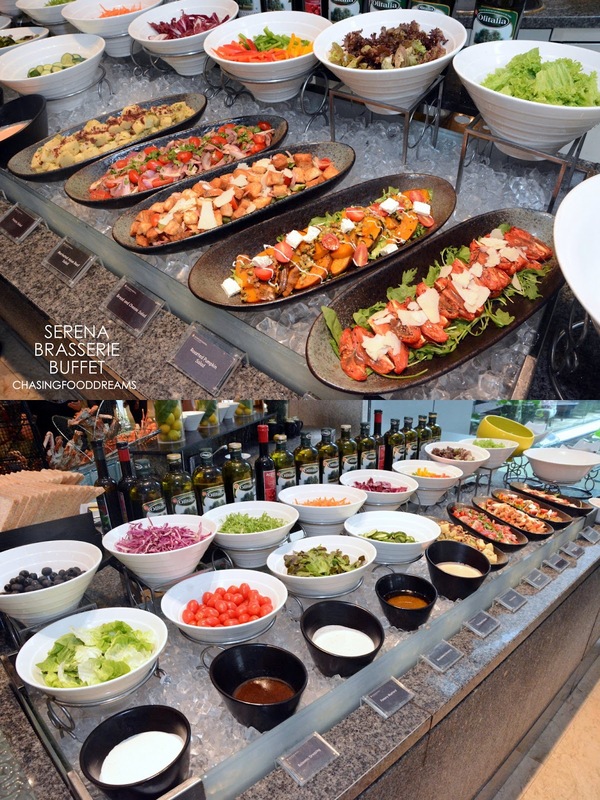 Both Sunday Brunch and Saturday High Tea also feature a myriad of international dishes such as Sandwich Bar, Salad Bar, Pasta Station and Dessert Station. 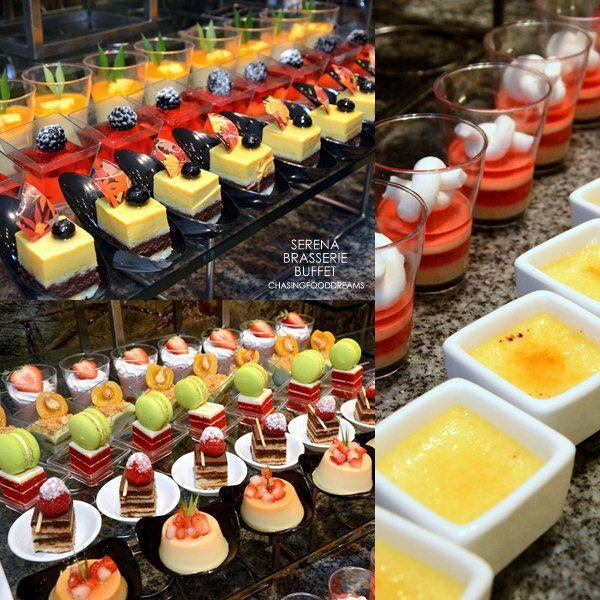 Be sure to check out the Dessert Station filled with loads of sweet treats. 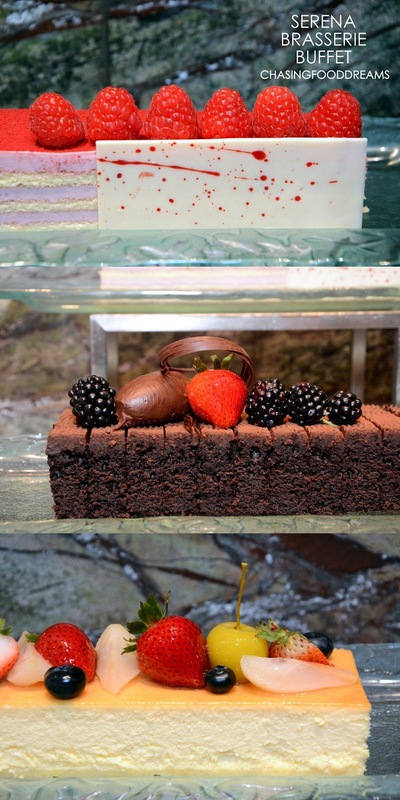 Besides a delicious variety of local Malay Kuih, there are Chocolate Fountain, Ice Cream, and many decadent homemade desserts by acclaimed pastry chef, Chan Eng Hua. There are Tiramisu in Chocolate cup, Saffron Poached Pear, Soya Milk Pannacotta, Crème Brulee Lavender, Chocolate Madagascar, Petit Pot with Sour Cherry and more. The refined High Tea will also include an al fresco cooking demonstration for dine-in guests with recipe handouts rotating the different Malaysian cuisines such as Terengganu teatime favourites, siew mai, deep fried crispy prawn dumplings, maki California roll and even dessert such as choux pastry. Executive Chef Sam Kung and his team is set to whip up an unforgetable feast to make sure that your weekends are filled with luscious and sweet experiences! For reservations, please call Serena Brasserie at 03 2161 1111 or email the team at foodandbeverage@intercontinental-kl.com.my.